British Prime Minister Theresa May urged lawmakers on Monday to take a "second look" at her deal to leave the European Union, in a last-ditch effort to win over a House of Commons that looks set to reject the agreement. British Prime Minister Theresa May made a frantic last push Monday to swing lawmakers' support behind her seemingly doomed Brexit deal, warning that its defeat risked scuttling the U.K.'s departure from the European Union and "betraying the vote of the British people." She urged skeptical lawmakers in the House of Commons to take a "second look" at the deal. ​"No it is not perfect. And yes it is a compromise," she said. 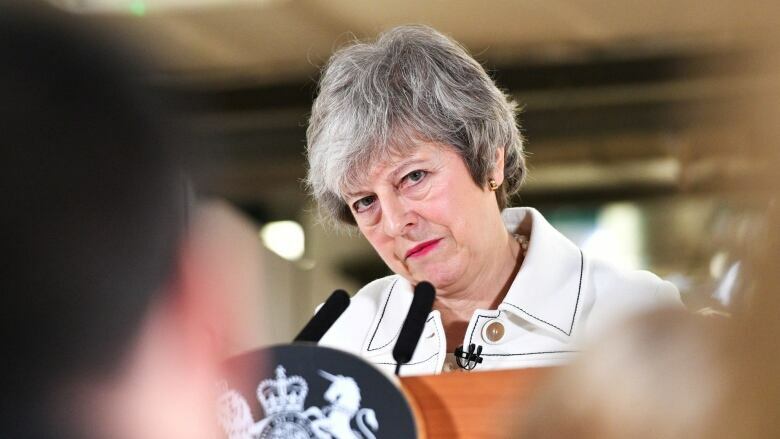 "With just 74 days to go until [Brexit day] the 29th of March, the consequences of voting against this deal tomorrow are becoming ever clearer," she said. 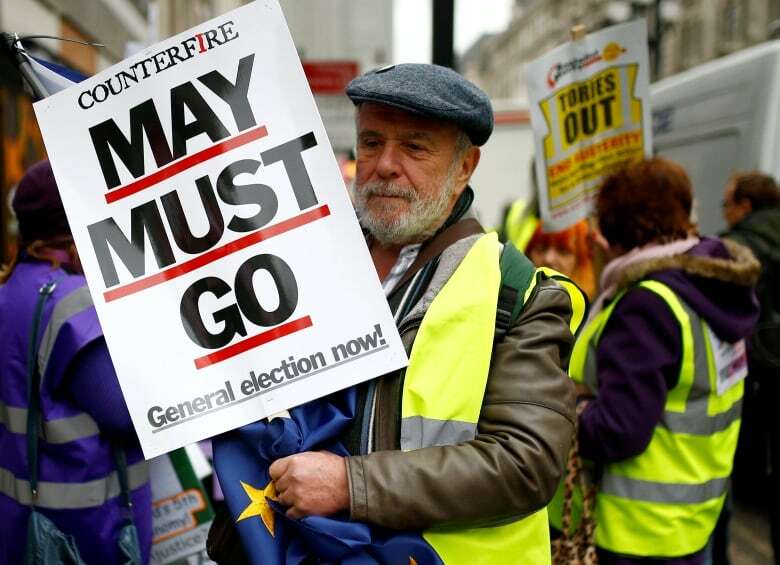 The fate of the United Kingdom's exit from the EU is in the balance before Tuesday, when Parliament is widely expected to vote against May's deal, opening up outcomes ranging from a disorderly divorce to reversing Brexit. May used a speech at a china factory in the leave-supporting city of Stoke-on-Trent in central England to say lawmakers blocking Brexit altogether was now a more likely outcome than Britain leaving without a deal. May has refused to budge over her deal, despite criticism from all quarters. The agreement, which envisages close economic ties with the EU, has united the opposing sides of the debate — pro-EU lawmakers who see it as the worst of all worlds, and Brexit supporters who say it will make Britain a vassal state. As the world's biggest trading bloc tried to brace for an unpredictable ride, Spain said the EU could agree to extend the deadline for Brexit, but not beyond elections for the European Parliament due in May. On Sunday, May warned lawmakers that failing to deliver Brexit would be catastrophic for democracy, and her ministers said thwarting the outcome of the 2016 referendum could lead to rise in far-right populism. As part of the effort to get the deal approved by Parliament, the EU and May set out some assurances in a choreographed exchange of letters on Monday. The EU told May it stood by commitments to find ways to avoid triggering the controversial "Irish backstop" in their Brexit deal and this pledge had legal weight. While stressing nothing in their letter could be seen as changing or being inconsistent with the draft treaty agreed with May last month, they said a commitment to speedy trade deal made by EU leaders had "legal value" that committed the Union "in the most solemn manner." However, even if the target date were not met, they wrote, Britain would have the option to extend a status-quo transition period to avoid triggering the backstop, which is meant to avoid a hard customs border for Northern Ireland. "If the backstop were nevertheless to be triggered, it would only apply temporarily, unless and until it is superseded by a subsequent agreement that ensures that a hard border is avoided," they said. May said the assurances might not go far enough for some lawmakers, and the small Northern Irish party that props up her government said it was insufficient. Nigel Dodds, deputy leader of the Democratic Unionist Party, said he could not support the deal, and his party's desire to get it renegotiated meant it could not support any move by the opposition Labour Party to press for a non-confidence vote. With a no-deal Brexit as the default option if May's deal is defeated, some lawmakers plan to pull control of Brexit from the government. "What we need to do is find the solution and if the government can't find the solution, and we want the government to find the solution and we'll be voting for her solution — but if it can't then Parliament needs to," he told BBC Radio.